The Risk Management Department is responsible for risk management, insurance and compliance reporting. Risk Management staff assess and make recommendations for risk control/prevention and administer insurance inquiries and claims. 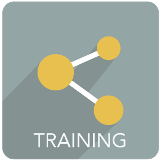 The Supply Chain Management (SCM) Department is the centralized team responsible for the acquisition of all goods and services on behalf of the Ottawa-Carleton District School Board. SCM staff are committed to working together with clients and vendors in a professional and ethical manner to acquire goods and services that through a transparent bidding process ensures the best overall value for the school district in harmony with the vision, goals and objectives of the organization. 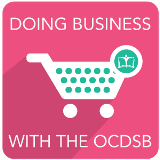 Vendors can visit Doing Business with the OCDSB for more information on how to register your supplies and services with us. The Printing Services is responsible for management of the District's fleet of leased photocopiers and printers, centralized digital printing, duplicating and finishing services (e.g. cutting, binding, laminating, folding) of a large variety of classroom operational, and business documentation as well as specialized print requirements such as large format colour material. Services provided by the Mail Services include management of corporate stationery and forms inventories, collection and shredding of confidential information, and centralized collection and processing of internal and external mail. If you have a questions regarding a specific supply or service, please choose from the applicable contact list below.